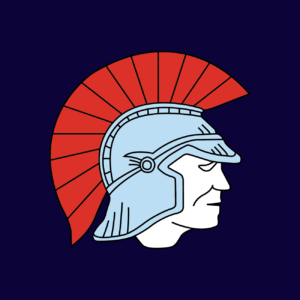 It is hugely important to let the Leeming Spartan Cricket Club know if you will be absent for selection during the season. To do this, please complete our Unavailability Form below. The form will be sent directly to our Chairman of Selectors, and it is therefore the easiest and fastest way to let the Club know of your unavailability for selection. Our selectors will then confirm your unavailability with you directly via phone. You can complete the form up until the Friday before the game, however for match day notification, please ring the Selection Hotline on 0478 982 043. Failure to do so without a valid reason could result in expulsion from the Club. Please ensure you include your Full Name in the form and best contact number, so we can contact you directly to confirm. Information regarding the last game you played for the Club. If you are missing multiple weekends, please answer 'No' in the question below, and then complete the next section. Please select the dates that you will be missing. You may select more than one Saturday. You will not be considered for selection on these chosen dates. You can make a new form at a later date to enter any additional days in which you will miss. *	What Pre-Christmas Saturdays Will You Be Missing? Please select the Saturdays before the Christmas break (if any) that you think you'll miss. We'll confirm with you just to be sure! *	What Post-Christmas Saturdays Will You Be Missing? Please select the Saturdays after the Christmas break (if any) that you think you'll miss. We'll confirm with you just to be sure! *	Will You Be Missing Any Finals Matches? This applies for both our two-day and one-day sides. Note that some finals are played on a Sunday. If you haven't played the minimum amount of games to qualify for finals you cannot be selected. This includes our non-season games such as T20 fundraisers. Leave blank if you don't need to mention anything! Allowed file extensions are jpg, png, doc, docx, psd, PDF. Max file size is 8 MB. * Please Prove You're A Human! We can no longer allow aliens to play. Thank you for notifying the selectors of your unavailability. It is hugely appreciated and greatly assists in organising our eight teams each week. 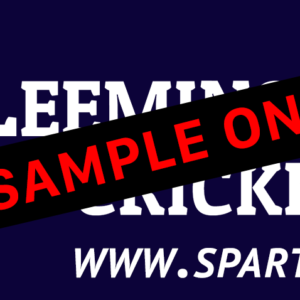 New members can become part of the Leeming Spartan Cricket Club by clicking here! To view our weekly selections, please click here!